In the food industry, volatile supply chain conditions, quickly perishable goods, elevated safety standards, and intense competition can make it challenging to run a profitable business. By using proven, powerful technology, you can greatly reduce the complexity, risk, and uncertainty of food production. Available in the cloud, the best of today’s ERP and data analytics solutions can help you meet market demand in a profitable manner and build a more competitive company. When you implement Microsoft Dynamics 365 on the Azure cloud and connect it with the business analytics and insight resources available on the same platform, you can chart your path to a vast range of business advantages and beneficial changes in your food production and distribution. Here are seven examples from the real-life experiences of food companies. Generate sales forecasts based on historic buying patterns, incorporating weather conditions as well as competitive and market intelligence. Use these forecasts to make sure that you meet demand with the right products. Plan promotions and special marketing campaigns based on data evidence that increases their likelihood of success. By monitoring IoT-connected sensors installed in fields you can assess such conditions as soil temperature, rainfall, sunlight hours, and others. You can analyze this data and project the likely impact of soil conditions on crop yields. With that information, you can forecast likely yields, preview the quality of crops grown, and determine the best schedule for harvesting. If your projections fall short of demand or required quality levels, you can source alternative crops or activate the next tier in your supplier network. In consequence, you can improve your fulfillment rates and improve customer satisfaction. In some segments of the food industry – for example, brewing – stages in production depend on natural processes that can differ in how much time they take. However, when you are unable to reliably state when your product will be ready for the market, it can be challenging to deliver while demand is up. However, when you deploy IoT-connected sensors to gather data from your materials and equipment, you can keep close tabs on temperatures, sugar content, alcohol levels, carbon dioxide levels, and other aspects of in-progress production. When you submit these data findings to analytics, you can forecast when the process will be complete. That, in turn, allows you to optimize production planning, use production capacity more efficiently, and get your products to consumers when they want them. Many food production companies use complex, automated machinery and production lines. Any unplanned downtime, lagging performance, or quality deviations in the operation of your industrial assets can have upstream and downstream consequences – late deliveries, unhappy customers, wasted materials, expensive emergency repairs, and more. You can, however, connect your industrial assets to the IoT and gather data that illustrate how well they run. Based on machine histories and analyses of past performance, you can set thresholds and timelines for intervention to avoid unscheduled downtime or production problems. Preventive maintenance and proactive performance management help you create more value from your machinery and ensure production within your quality standards. You can ensure better product quality and minimize waste of materials or products by keeping close tabs on temperature, humidity, and other conditions anywhere in your supply chain. This could include warehouses, transport containers, retail stores, specialty vehicles, vessels, wagons, refrigeration units, shelving, and almost any conceivable other storage location. You can analyze the data to spot potential issues and remedy them before they become damaging or costly. You can use the CRM capabilities in Microsoft Dynamics 365 together with business analytics to identify and understand trends and patterns in sales, returns, and customer complaints. You can finetune your data findings to highlight events associated with various sales regions, distributors, or outlets. Doing so helps you spot and replace problematic batches of products and materials, work with poorly performing resellers, and pinpoint quality and performance issues related to your employees or production equipment. As you resolve or eliminate a range of troublesome issues, you can improve customer satisfaction and improve the performance of your business processes. Social listening across the channels and media where consumers spend time provides you with the basic data for assessing changing preferences and emerging trends. You can apply business analytics to those findings to see which products and product types are becoming more popular, what flavors and textures are trending up, and how well your products serve your brand. 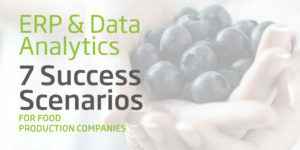 Those analytical outcomes, in turn, you can connect to your demand and production planning, enhancing your ability to launch new products or tweak your current offerings to satisfy demand and make consumers happy. Ready to take a next step? Columbus has the food industry and technical experience to help you gain the full benefits of Microsoft Dynamics 365 and business analytics on the Azure cloud. We know how to deploy solutions on-premise, in the cloud, or in hybrid environments to enable the outcomes you aim for. Our process optimization and systems integration expertise helps you produce greater returns from your existing technologies and practices. Columbus food industry clients include leading enterprises that embark on global transformation initiatives as well as growing organizations that look for greater efficiency or want to boost their business viability. You can also download our free ebooks on demand planning, costing, and recall management with the help of modern ERP and analytics in the cloud. This article was written by Columbus. 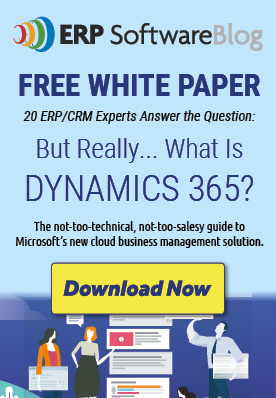 Columbus is a leading Microsoft Dynamics partner.